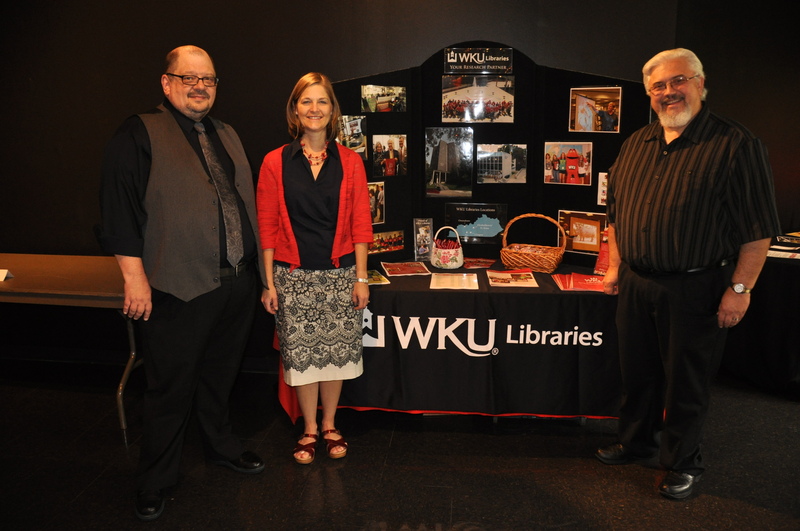 The faculty and staff of University Libraries participated in this year’s 2013 New Faculty Orientation on Friday, August 16. 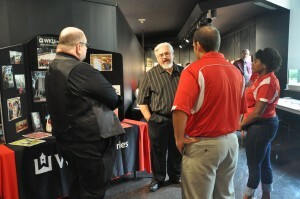 Jack Montgomery, John Gottfried, and Jennifer Wilson answered questions at the lunch time Information Fair. (From Left to Right) John Gottfried, Jennifer Wilson, and Jack Montgomery at the Information Fair. 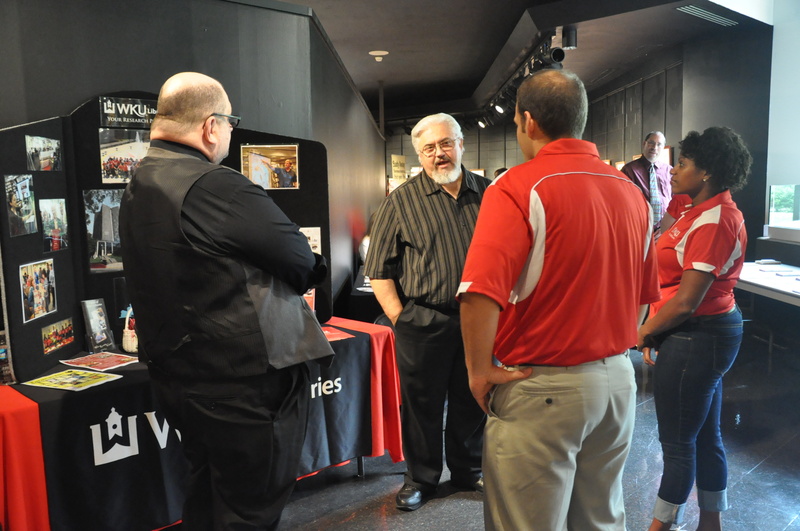 John Gottfried and Jack Montgomery answering questions from new faculty members. 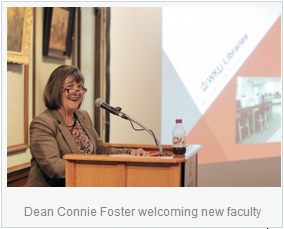 The afternoon presentation included a welcome from Dean Connie Foster and then presentations on reference services, LibGuides and databases from John Gottfried, catalogs and TopScholar from Deana Groves and Research Instruction from Bryan Carson. 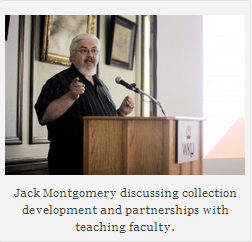 Jack Montgomery explained collection development and our desire to partner with teaching faculty. 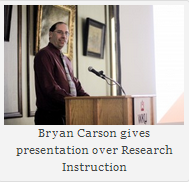 He also introduced our new Patron Driven Acquisition program which will launch this fall. 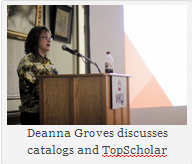 A collection of selected resources will be added to our TOPCAT online catalog and become part of our permanent collection the second time they are selected by patrons. 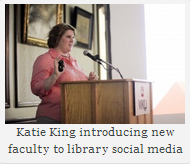 Katie King introduced the libraries’ social media (Facebook, Twitter, Youtube, Blog and our newest Pinterest). 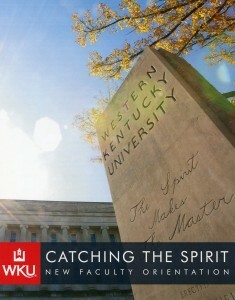 The latter features pages on programs and recent library acquisitions. 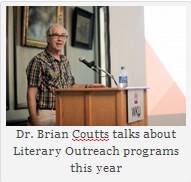 Brian Coutts talked about this year’s Literary Outreach programs including the Faraway Places and Kentucky Live series, the Kentucky Writer’s Conference, the Southern Kentucky Bookfest, One Book One Community reads program and Faraway Flix, a new series of foreign film nights. 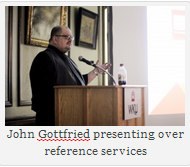 He also discussed STACKMAP our new newest technical application which allows patrons to click on MAPIT in the public catalog to determine exact locations of circulating materials. 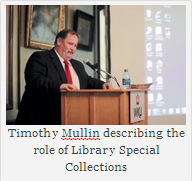 Timothy Mullin talked about Library Specials Collections. The New faculty received a copy of the libraries’ Centennial History.